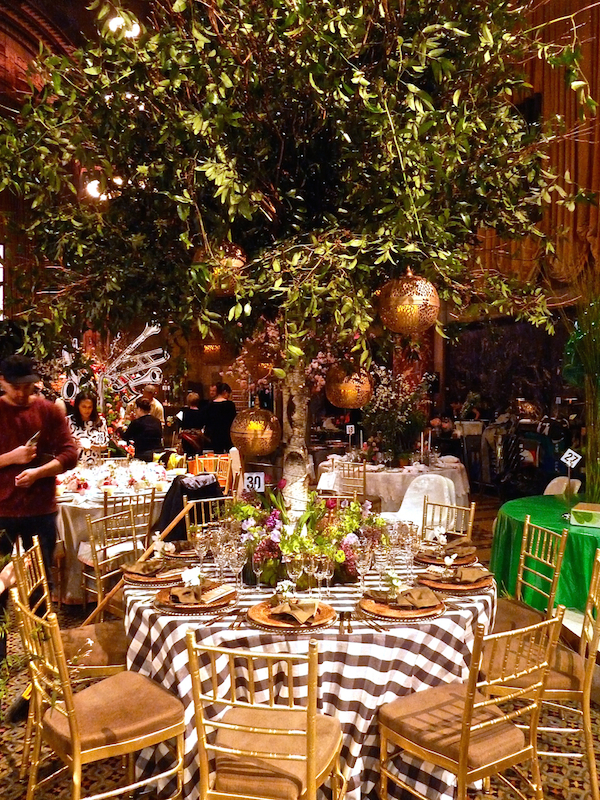 With all the design events lately, it’s been challenging to keep up and then when I saw Lilly Bunn‘s lovely feature in the new House Beautiful, I realized I had never shared hers and several other favorite tables from the Lenox Hill Gala. I loved her use of the brown and white gingham for her Picnic in the Park table. 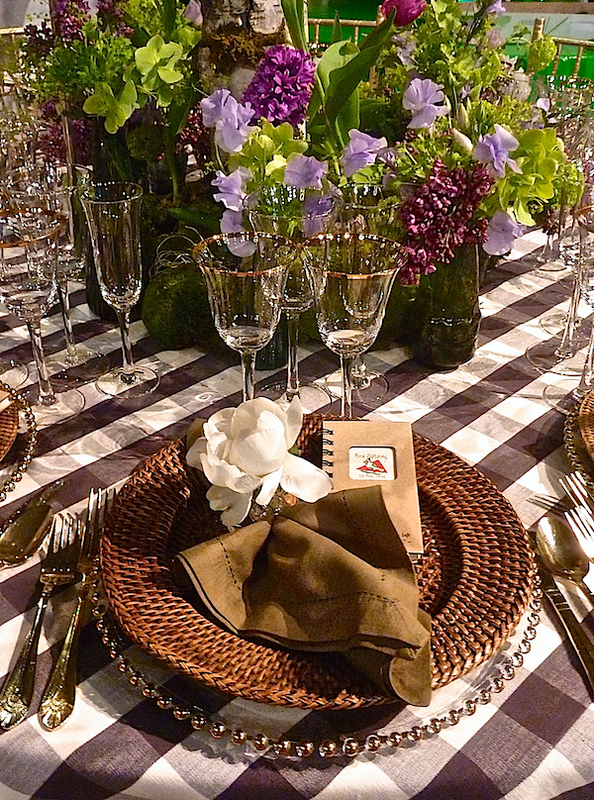 It was lovely against the lilac and purple flowers in the centerpiece created by Renny and Reed. 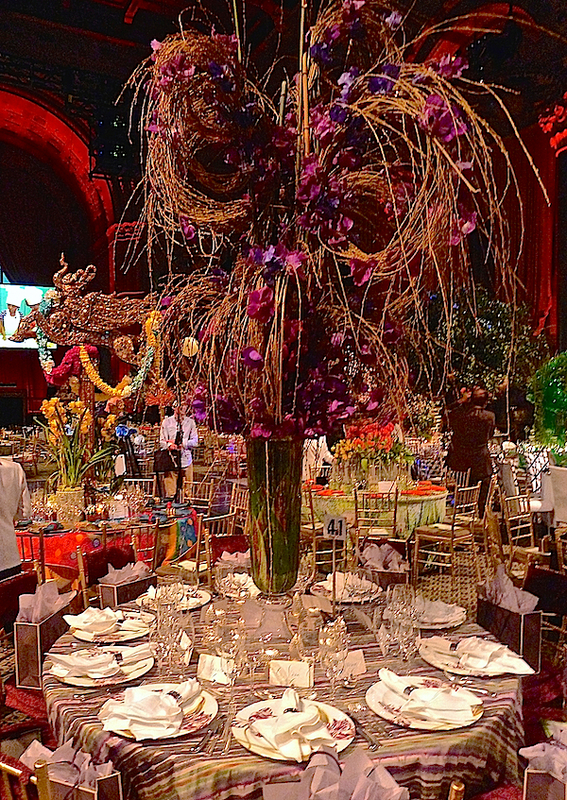 Nina Campbell also used purple to great effect in her dramatic centerpiece for Asprey. 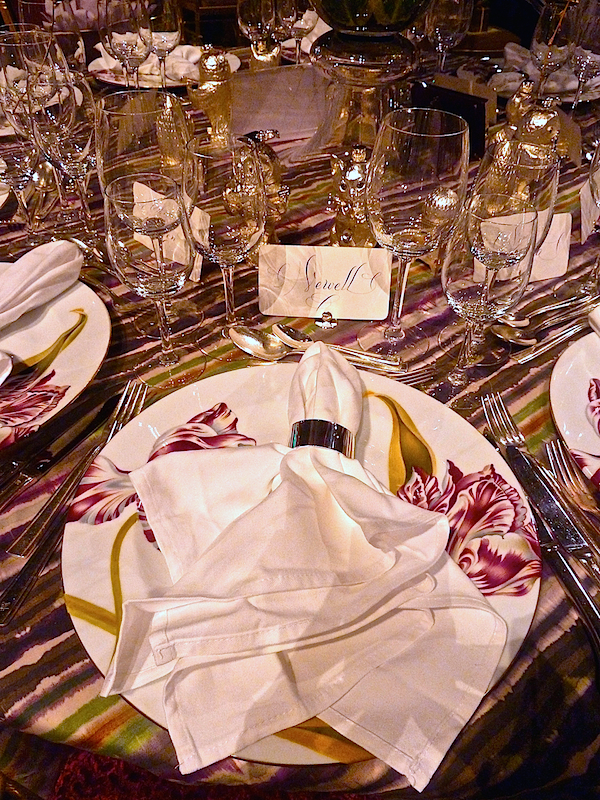 Beautiful plates, silver accoutrements and hand calligraphy by Bernard Maisner made for an elegant table. Studio Alta created their Chroma Shift table with hand dyed rope and Eskayel fabric. 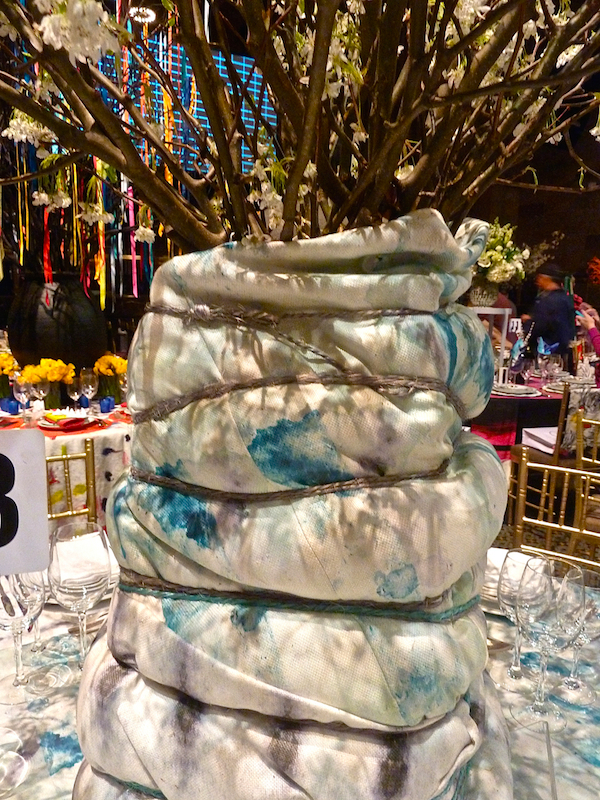 Here is how they wrapped their centerpiece. 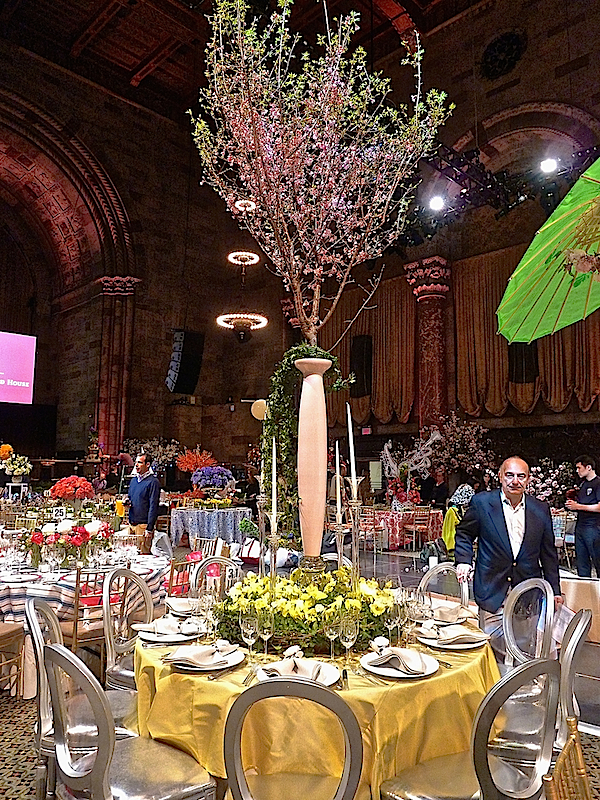 Mercedes Desio and Alberto Villalobos of Etós created a sky high tree-like centerpiece (the gentleman in the photo is with the restaurant). 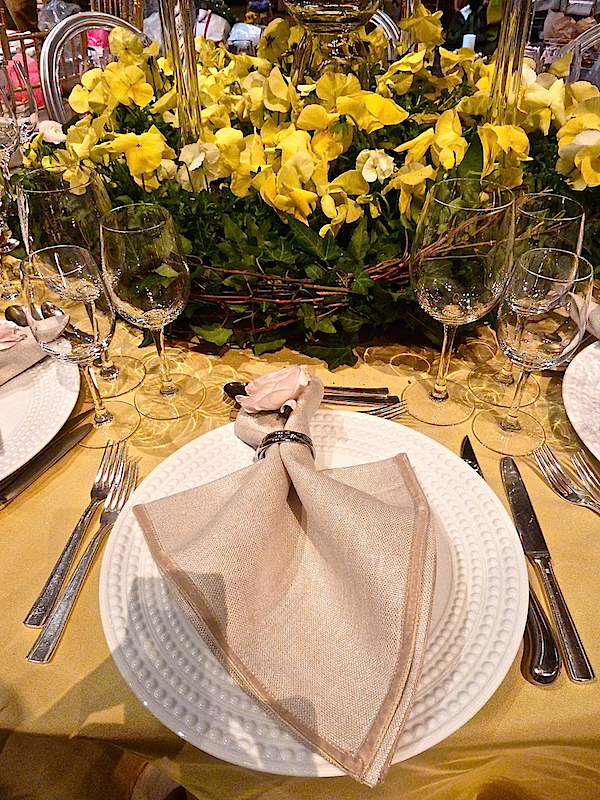 for a fresh yellow themed spring table. I’m looking forward to seeing their room at Kips Bay this week. 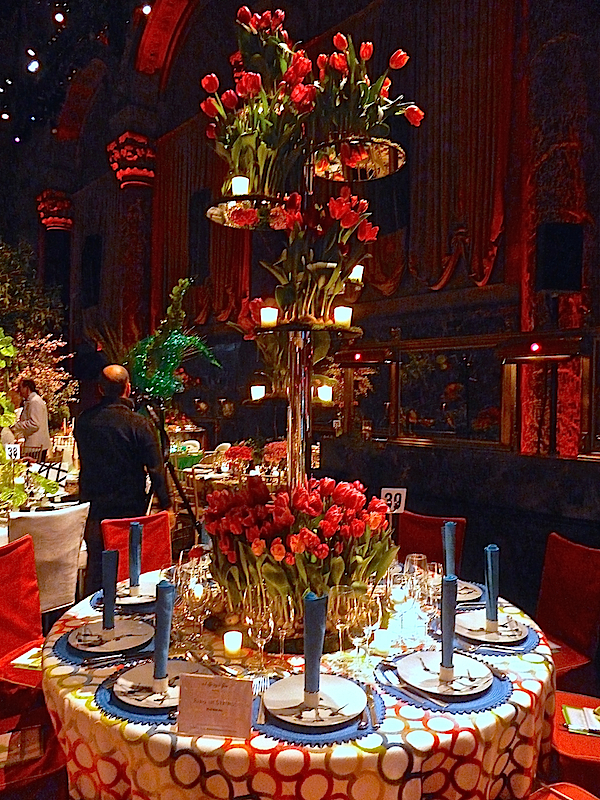 McMillen Inc.‘s tower of tulips included mirrors that reflected the bouquets below. 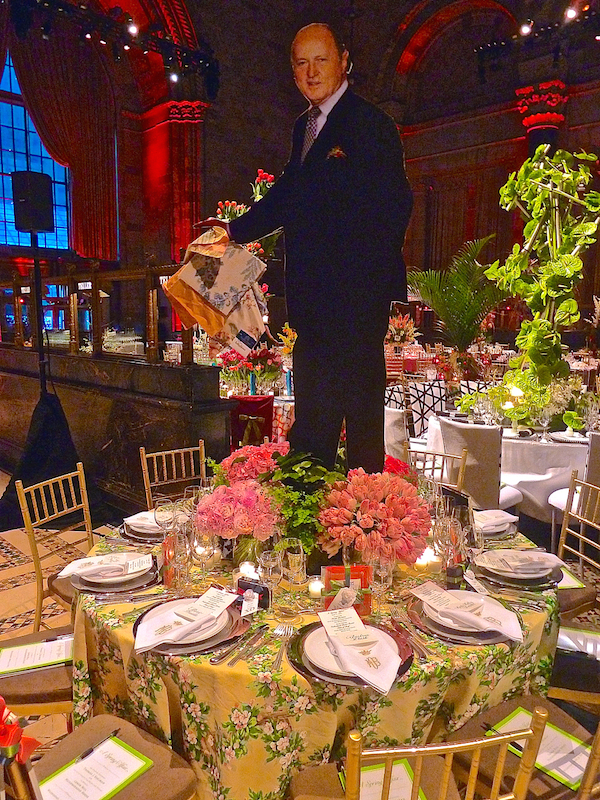 Fun plates and napkin arrangements echoed the balancing act of the centerpiece. 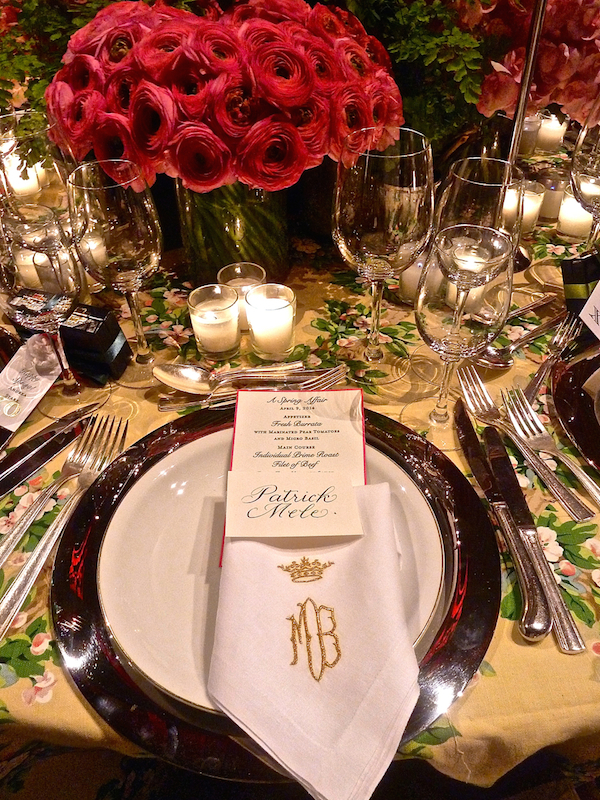 with the requisite chintz tablecloth and monogrammed napkins celebrating Mario’s princely status. 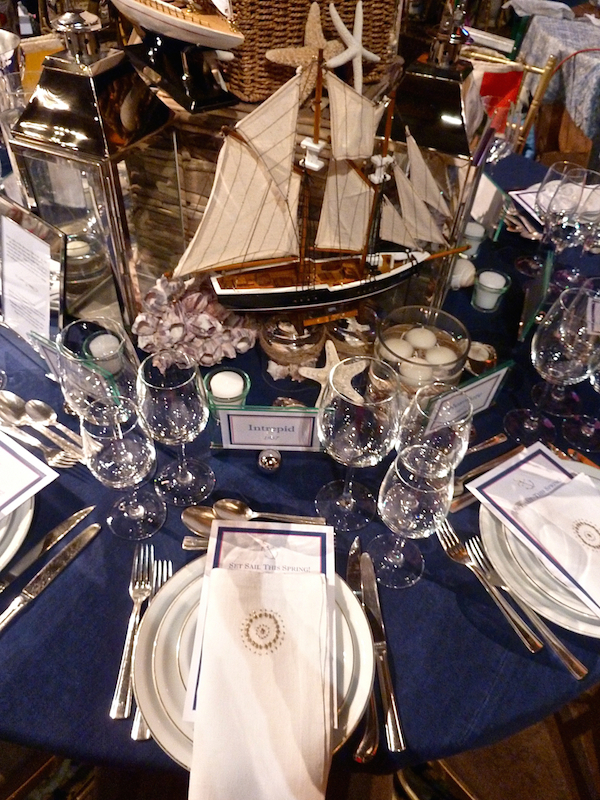 Libby Langdon‘s table was a crisp ship shape nautical theme. 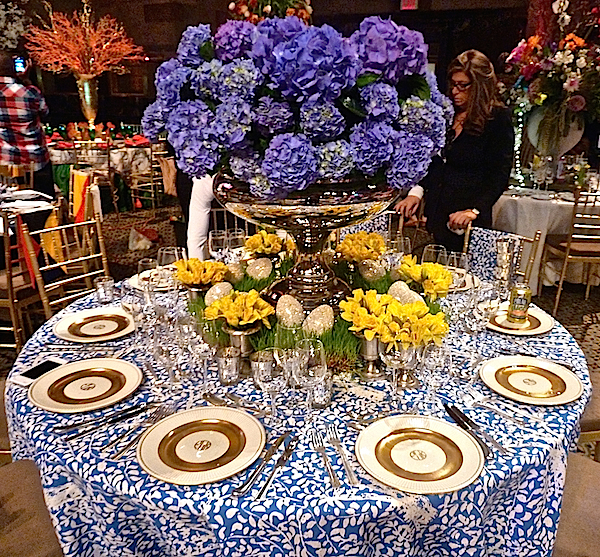 And blue was celebrated with a spectacular hydrangea arrangement at Sam Allen‘s China Blues table. 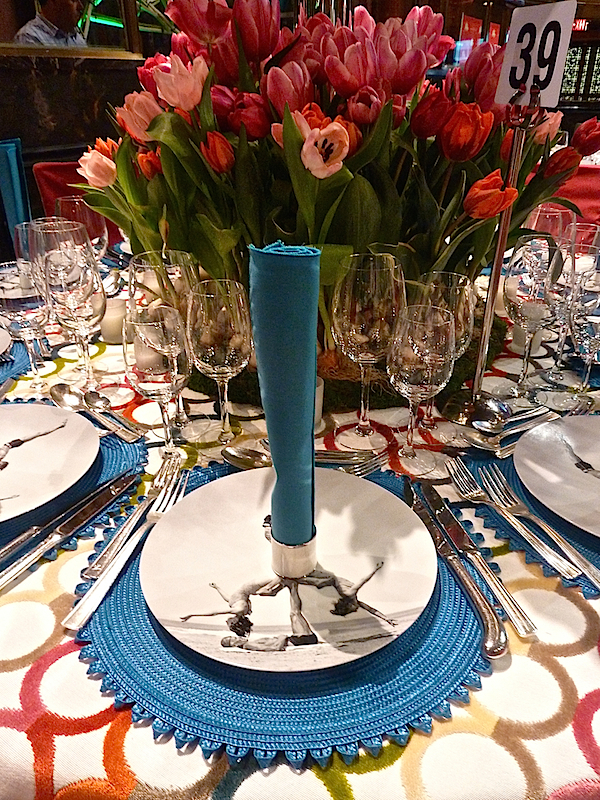 I loved the bold graphic appeal of Edward Lobrano‘s table with fabrics from Peter Fasano. 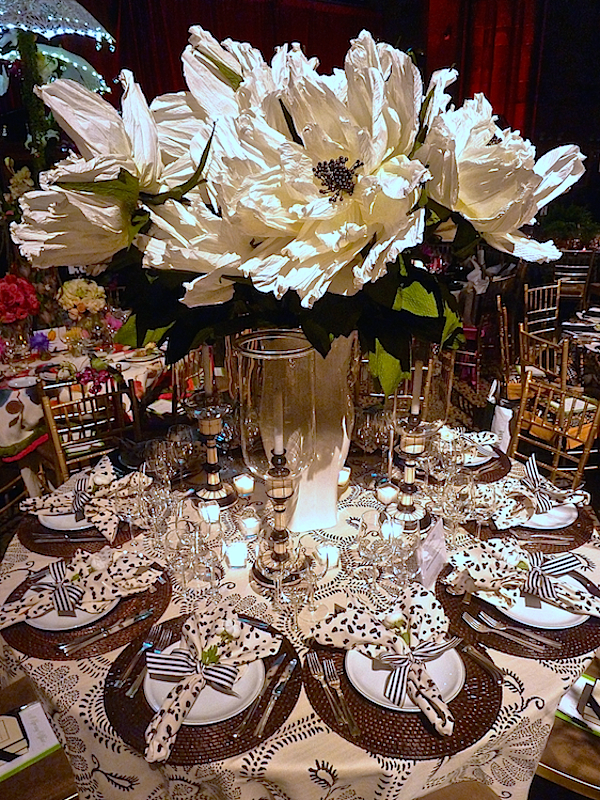 Stop back tomorrow as we take a look at the fabulous rooms at Design on a Dime. This entry posted in interior design. 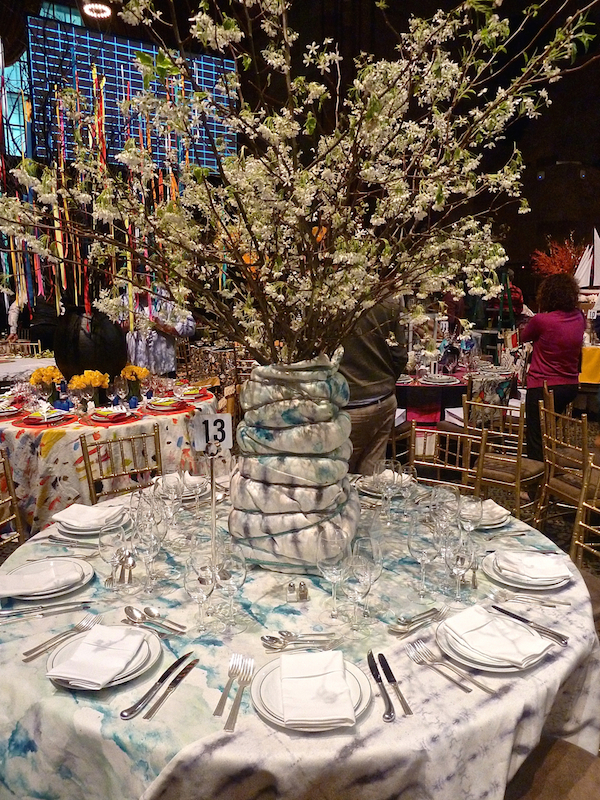 Entry Tags: interior design, Lenox Hill Neighborhood House Gala, Tabletop Bookmark the permalink.